Before & After Pictures - Be Inspired! - Energy To Organize! Goal Accomplished! 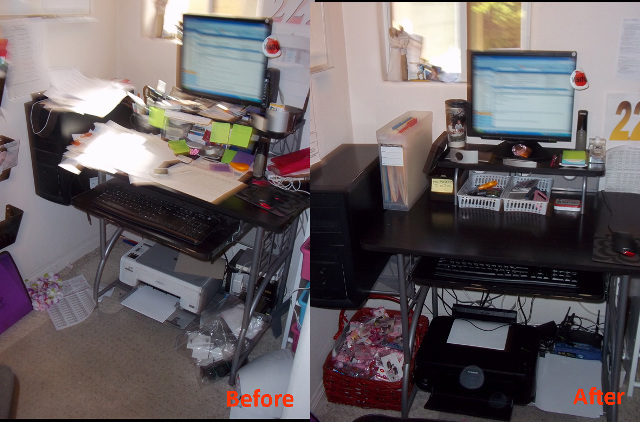 An office re-make can make all the difference in wanting to get things done! How's your space affecting your productivity? Now my client wants to walk into her lovely office! Does your family have a Command Center? A place to stay on top of the hustle and bustle of paperwork that comes into your home? Ready to gain control of the daily grind clutter? Call me and we can create one together! After you get organized, you'll find you have more space to grow into as your personal or professional needs change. 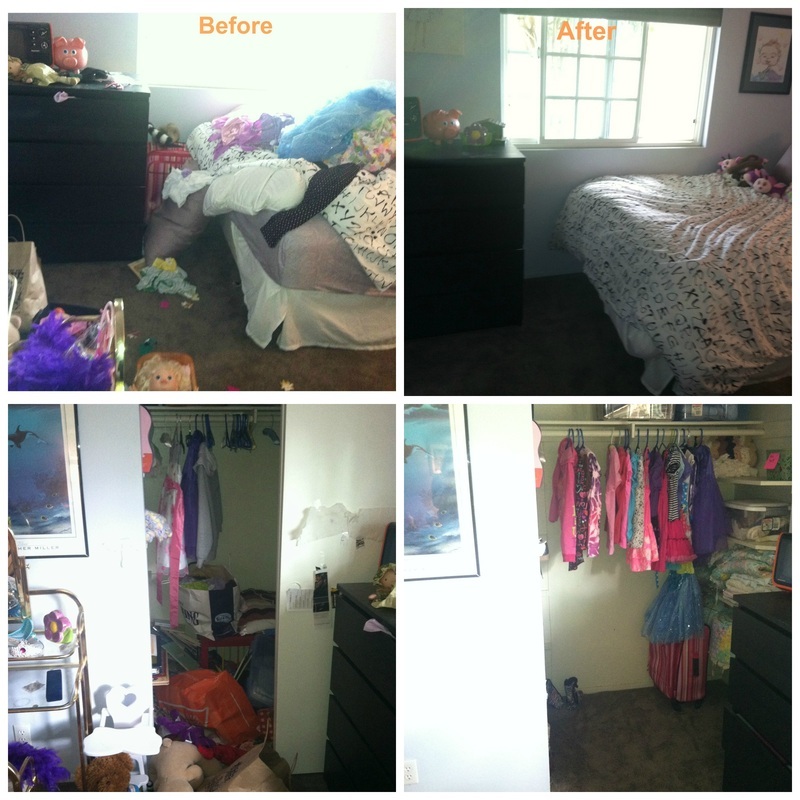 Check out the space created here because I helped a client stay focused and make decisions on the clutter! Clutter free workspace! Now my client can accomplish professional goals in his home office and find what he's looking for fast! Now the family can enjoy dinners at the table! See how much better it would feel to sit down in this space to do crafts or eat a meal? Can't find what you're looking for? Let's make it so you can! Consider teaching your kids valuable organizing skills while they're young! If kids don't have a consistent place to put things, or basic organizational systems they can't be expected to keep their rooms clean. No more cramming needed! Do you have a craft or linen closet that could use some help? Give me a call and we'll whip it into shape so you can use the space effectively and feel great when you go inside to retrieve items. *Please Note: Nadia & her husband had discussed tackling this project themselves, and she knew he was on-board with organizing the space. However, the project sat for a long time, getting worse and both of them dreading it. Until one day her husband left town for work and she called in Natasha. He was blown away by the results upon returning home!